Ultron lays out his plans for decimating Earth's Mightiest Heroes in the latest trailer for Marvel's "Avengers: Age of Ultron," in theaters May 1! The new Avengers: Age of Ultron trailer is here hours before it premieres tonight during ABC's new drama American Crime. Marvel Entertainment "unlocked" the trailer on twitter when the hashtag goal was met by its rabid fanbase. The new spot captures more footage of Ultron, Hulk, and the twins with narration from Tony Stark. Needless to say this is going to be epic! Marvel's "Avengers: Age of Ultron" stars Robert Downey Jr., who returns as Iron Man, along with Chris Hemsworth as Thor, Mark Ruffalo as Hulk and Chris Evans as Captain America. Together with Scarlett Johansson as Black Widow and Jeremy Renner as Hawkeye, and with the additional support of Don Cheadle as James Rhodes/War Machine, Cobie Smulders as Agent Maria Hill, Stellan Skarsgård as Erik Selvig and Samuel L. Jackson as Nick Fury, the team must reassemble to defeat James Spader as Ultron, a terrifying technological villain hell-bent on human extinction. Along the way, they confront two mysterious and powerful newcomers, Pietro Maximoff, played by Aaron Taylor-Johnson, and Wanda Maximoff, played by Elizabeth Olsen and meet an old friend in a new form when Paul Bettany becomes Vision. Written and directed by Joss Whedon and produced by Kevin Feige, Marvel's "Avengers: Age of Ultron" is based on the ever-popular Marvel comic book series "The Avengers," first published in 1963. Louis D'Esposito, Alan Fine, Victoria Alonso, Jeremy Latcham, Patricia Whitcher, Stan Lee and Jon Favreau serve as executive producers. 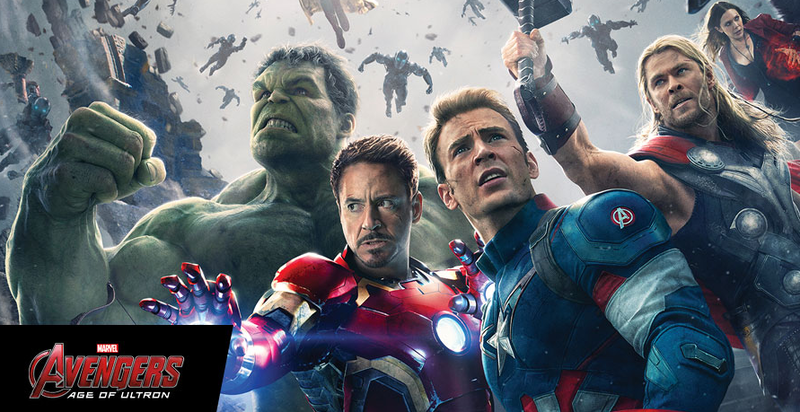 Get set for an action-packed thrill ride when The Avengers return in Marvel's "Avengers: Age of Ultron" on May 1, 2015.